Autumn is the perfect time to hunt for an equestrian home. As the season draws to an end, horse owners who were too busy competing to consider putting their house on the market often decide to make a move before winter closes in. 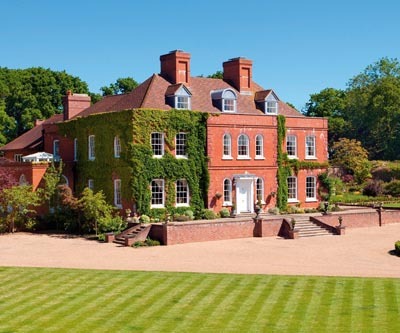 This eases the chronic shortage of equestrian properties that affects the British market, giving buyers greater choice. But how can people make sure that they’re purchasing the right property, especially when they’re new to keeping horses at home? The best equestrian houses pull off a fine balancing act to accommodate conflicting requirements, according to Hannah Edge of Strutt & Parker. Take location, for example. In addition to being close to good schools, stations and shops, an equestrian home needs to have the right soil, off-road riding in the vicinity and, if the owners have a desire to compete, proximity to show venues. ‘The last thing people want to do at the end of a long day competing is to spend forever winding their way along country lanes to get home,’ explains Mrs Edge. At the same time, however, they’ll want to be close to safe hacking, especially if they have children who ride. This, says Sam Trounson of Strutt & Parker, means ‘plenty of bridlepaths, not just quiet lanes’. the key to happy horse owners, and, therefore, light loams and chalk are preferable,’ says Robert Fanshawe of Knight Frank. ‘Buyers should avoid heavy clay,’ says Henry Hannon of Property Vision, ‘because it gets boggy in winter and bakes hard in summer.’ Simon Harrison of Harrison Edge also recommends steering clear of very sandy soils as, if your horses ingest sand when grazing, they could suffer from colic. The quality of the soil, together with the number and type of horses you have and plan to acquire, will determine how much land you need to buy. ‘The biggest mistake is too much rich grass on too many acres for too few horses-you risk laminitis,’ comments Mr Harrison. At the same time, says James Walker of Savills, you will want enough land to be able to rotate the paddocks and prevent poaching and overgrazing. This is especially true if the land is wet. As a general rule, you should be looking for at least an acre per horse, and ideally two. Make sure that there is a fresh, clean water supply to all fields, and that each paddock is well fenced and has either a shelter or plenty of trees and shade. Like the land, the yard also needs to strike the right balance between size and ease of upkeep. It needs to be able to grow with your family’s equestrian ambitions-you should avoid buying a stable block that only has pony boxes even if your children only ride ponies now, because, if their interest persists, they will soon graduate to horses-but, at the same time, it should be small enough that it won’t hinder your chances of reselling the house in the future. ‘Five stables and 20 good acres are perfect for most private uses,’ adds Mr Fanshawe, who recommends settling for ‘as few facilities as possible: a secure tack room with hot water, a horse walker and an all-weather surface-any more than that is too frightening on resale’. it can devalue the property.